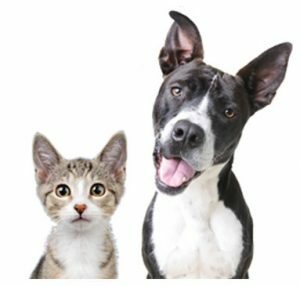 DHA is proud to be the premiere no kill animal care and adoption center in Delaware, serving more than 5,000 companion animals each year through adoptions, low cost vaccination clinics, spay/neuter services, and more. One way companies can help us is by becoming an event sponsor, in-kind donor, media sponsor, or prize donor for our primary fundraisers. Becoming a DHA event supporter means you or your organization can show your commitment to animal welfare to thousands of individuals throughout Delaware and neighboring states who support our events. DHA is bringing its highly successful Designer Bag Bingo event to the beach! DHA Rehoboth’s Designer Bag Bingo will be held on Thursday, September 26th, at the Rehoboth Beach Convention Center. There are several ways to support this event, including being a bag sponsor, joining our Portfolio of Friends, or donating a raffle basket! DHA will also be hosting our second Sunday Brunch in the Ballroom on Sunday, November 17th, at the beautiful Hotel du Pont. The event will feature a dog-friendly brunch, live music, a photo-booth, and an auction featuring once in a lifetime vacations. We are also hosting a dog-friendly cocktail party in the gorgeous Nassau Valley Vineyards in Lewes, DE on Thursday, June 6th. DHA’s Wags, Whiskers, and Wine event promises an unforgettable night for attendees, including a spectacular setting, exceptional drinks, and a fun night out with their pup. Please complete and return indicating your intent to sponsor. The form can be emailed to development@delawarehumane.org, faxed to (302) 571-8173, or mailed to Delaware Humane Association, Attn: Susan Lanyon, 701 A Street, Wilmington, DE 19801. We are also in need of in-kind goods or services that are given as prizes for several events. In addition, there are also opportunities to receive sponsorship amenities for exchange of goods or services, but not necessarily prize items. If you are interested in this option, please contact Susan Lanyon, Director of Philanthropy, at (302) 571-8171 x300 or slanyon@delawarehumane.org for more information.